Today I’m excited to unveil another new series on my blog: Q+A! Often for articles I have the chance to interview incredibly interesting people in the culinary field, but I typically only insert a few quotes in each piece. I’ve been wanting to share the complete interviews as part of a series on my blog, and I’m starting today (although this one does not stem from a separate article)! Allow me to introduce Brette Sember. 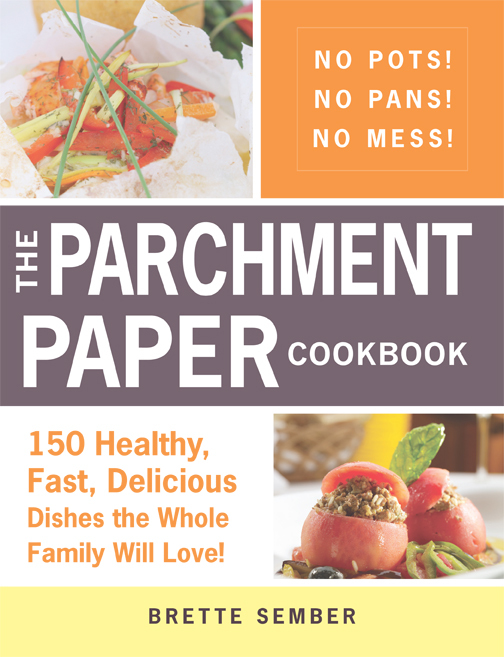 She has just released The Parchment Paper Cookbook in both print and as an ebook. We talked about the benefits of parchment cooking (I’m a convert! ), how she made the transition from attorney to blogger, and how she parlayed her blog into a cookbook. Katherine Martinelli: What was the inspiration behind the book? I know you started your blog, No Pot Cooking, just under a year ago. Did you know at that time that you would be writing a book on the subject? Brette Sember: I made my first parchment paper dish over 20 years ago when I was a newlywed and really was impressed by how easy it was and how moist and flavorful the food was. These types of dishes started popping up in magazines again recently and made me think that no one had really focused on this type of cooking before, so I started the blog. The book deal came soon after. KM: Tell us about your background. How did you transition from being an attorney to a published writer? BS: I had my second child while practicing law and took some time off to be at home and realized I didn’t want to go back. Serendipitously, an editor called me and asked me to write a book about how to file for divorce in New York. From there I wrote other self-help law books, then began to do topics like health, business, parenting, textbooks, and family issues. Food is the latest incarnation for me. KM: Where did you learn to cook? BS: I learned to cook from my mom and two grandmothers, whom I was very close to. I spent a lot of time in the kitchen as a child and cooking has always been my favorite activity. I love being creative with food and pushing the limits. I also love seeing people enjoy my food. KM: I am familiar with cooking fish “en papillote,” but your book offers many more suggestions. What are the possibilities and limits of parchment cooking? What are some of your most surprising applications for parchment paper? BS:Parchment paper is perfect for food that should be moist, so it’s great for chicken, fish, pork, vegetables, and things like rice and noodles. Parchment packets seal the moisture in, allowing food to cook without a lot of fat, while sealing all the flavors in. Some of my recipes have the reader open the packet and quickly broil the food to get some browning, but in general parchment does not replace things that result in foods with crispy or dry coatings, like frying or baking. You would be surprised at how flexible it is. The book has a fantastic gnocchi dish, for example. And there are recipes for breakfast and dessert too. You can cook your entire meal in parchment! KM: Is cooking with parchment environmentally friendly? Doesn’t it produce more waste than traditional cookery? BS: There are lots of environmental benefits to parchment cooking. First of all, parchment is recyclable or compostable. It’s also definitely healthier than cooking with non-stick pans (which release toxins into your food) and you get the same ease of use. Secondly, you are able to cook your entire meal in one oven, which saves energy. You don’t have several burners, a microwave, and an oven all going to make your meal. You also have very little clean up, so you’re not using and heating water to wash stacks of pots and pans. KM:What are the benefits of cooking with parchment paper? BS:Parchment cooking is very easy. You place all of your ingredients in the packet, fold it up and bake it. No standing over the stove and stirring needed! Some recipes use a cutting board or small bowl, but you don’t have any roasting pans, pots, or sauté pans to wash when you’re done. The packets can be made individually, so each person at the table gets his or her own adorable little packet (which is like getting a little present!) or you can make family size portions. Parchment is also very healthy because you don’t need to add much oil or fat to the food, since it cooks in the packet in its own juices. You don’t lose any nutrients to cooking water (as you often do when boiling vegetables) and the flavor is sealed right in the packet. KM: In addition to The Parchment Paper Cookbook, you also have two other food-related books coming out soon: The Organized Kitchen and The Muffin Tin Cookbook. Do you have any advise or tips for food bloggers who would like to pursue having their own cookbooks published? BS: I think it’s all about finding your niche, as it is with all types of writing. You need to find something that will set your cookbook apart and make it different from all the others out there. I also think it’s about following your passion. If you aren’t excited about something, the project doesn’t have that little extra oomph. I think there will always be room for new cookbooks, so keep trying! 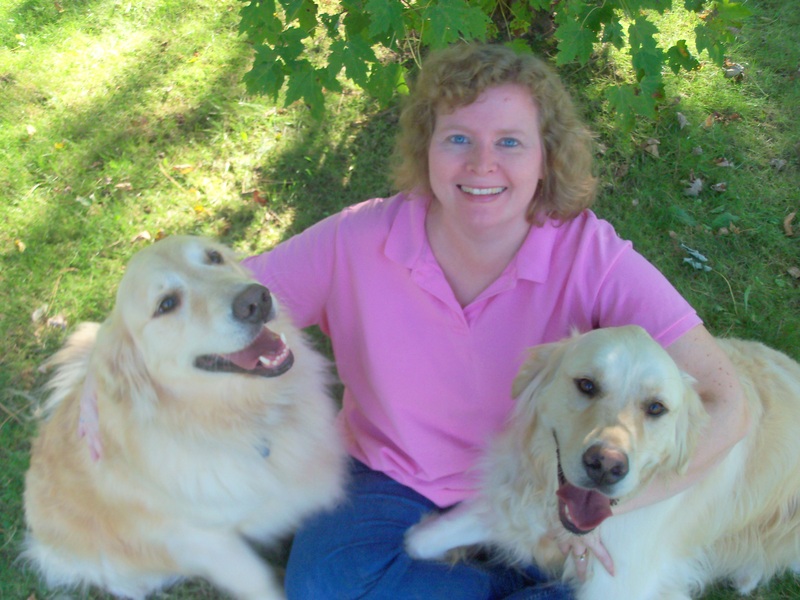 Brette lives in Buffalo, NY with her husband, two children, and two golden retrievers. Her web site is www.BretteSember.com and you can follow her on Twitter @brettesember. The Parchment Paper Cookbook (Adams Media, 2011) by Brette Sember is available on Amazon.com and other major book retailers in print and as an ebook. Happy cooking! Thank you Liz! Yes, this book is going on my Christmas list! Thank you Nandita! So glad to introduce you to parchment cooking! It really is an easy, healthy way to cook. Awesome interview – i need to try some of her ideas. . . Thanks Ewa! Yes, Brette has some really creative ideas! Love the idea of the Q&A’s – and this one was well done. Congrats. I haven’t cooked en papillote for years now. But it’s been one of those things in the back of my mind to do again. I do think it’s ideal for fish – nice, moist heat, plus you get an incredible aroma when open the parchment packet at table! Best yet, if you happen to overcook your fish (none of us ever do that, right? ), because the whole meal is in the parchment paper – which you just put on each diner’s plate – the inevitable flaking won’t really matter too much. Thanks for this. Thank you so much!! I had just cooked halibut en papillote when Brette contacted me, so I was excited to hear about her cookbook. I love the presentation of it. It feels special. I agree it is great for fish (which of course I never, ever overcook! ha) but I must admit I am intrigued by her ideas for cooking all sorts of things in parchment! Hi Katherine! You always come up with fun series for readers and keeps your blog interesting! This is wonderful interview. I know an Asian blogger who often cooks fish and veggies in the parchment paper. Looks like it’s a very popular method! Aw thanks Nami! Yum, fish and veggies together in parchment sounds just great. I’ve only ever cooked fish in parchment – I’ll need to try some of Brette’s recipes for cooking other things too! great Q & A. I love this idea! Congrats on the fantastic new series. I love parchment spaper cooking and I ussually bake fish that way. Thank you Shulie! Yes fish is excellent cooked in parchment! I’ve never thought of going beyond that though! What a fun idea for a book, I think it’s such a great cooking method and I’d love to see all the recipe variations she’s come up with parchment paper. I agree Sylvie! It is such a great cooking method, and one I really haven’t explored beyond cooking fish. She’s come up with some really creative recipes.